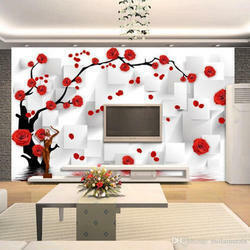 Korean wallpaper with PVC Coating. wallpaper in Noida, wallpaper in Noida, wallpaper in delhi ncr, wallpaper dealers in delhi ncr, wallpaper dealers in Noida, imported wallpaper in delhi, wallpaper dealers in Indirapuram, wallpaper dealers in Ghaziabad, wallpaper Noida, marshall wallpaper Noida, wallpaper shop Noida, wallpaper greater Noida, wallpaper greater Noida, wallpaper stores in Noida. As a quality focused firm, we are engaged in offering a high-quality range of Imported Wallpaper. To meet diverse requirements of our valued clients, we are engaged in offering an excellent range of Living Room Designer Wallpaper that are easy to maintain and are recommended for any kind of area.